Duodenal Switch: Procedure For You? Cost, Recovery Time, etc. Duodenal Switch is one form of weight loss procedure, developed as a variation of the biliopancreatic diversion technique. The difference is that it leaves a larger portion of the stomach intact. Also known as biliopancreatic diversion with duodenal switch, BPD-DS, DS, or vertical gastrectomy with duodenal switch, it is one of the more complicated forms of bariatric surgery. This procedure combines two techniques, known as restrictive and malabsorptive, to help patients lose weight. It involves both reducing the size of the stomach and rerouting the digestive tract to bypass part of the small intestine. After undergoing DS surgery, patients consume less food, and a large amount of the consumed food is not digested. If you have a body mass index (BMI) of 40 or higher, you may be a candidate for weight loss procedures such as the duodenal switch. These patients tend to be at least 80-100 pounds overweight. Those with a BMI of 30 to 40 who have health complications related to obesity, such as high blood pressure or diabetes, may also be eligible to undergo DS surgery. Because it is a complex surgery, it may not be the right choice for some ‘high risk’ patients who already have serious health complications. On the other hand, this procedure may be recommended for extremely obese patients, with a BMI of 50 or higher. 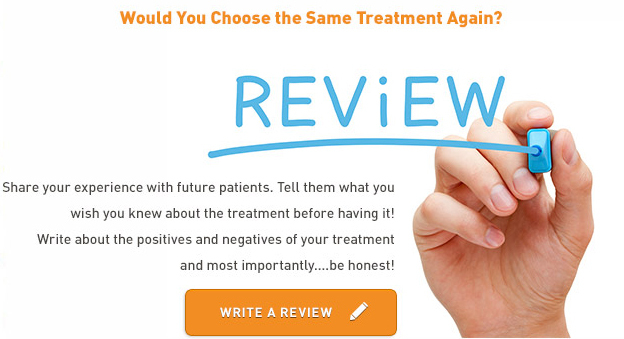 Talk to your doctor to determine if duodenal switch surgery is right for you. In the United States, about 20,000 patients choose duodenal switch surgery each year. The Duodenal switch is often performed laparoscopically, using a small camera and special surgical instruments. This technique requires much shorter incisions than the large abdominal incision that would otherwise be required. On average, the procedure takes approximately three to four hours to complete, which is more time than most other types of weight loss surgery, due to its complexity. During surgery, the stomach is divided vertically and up to 85 percent of it is removed to create a cylinder-shaped pouch connecting the esophagus to the top of the small intestine. The top of the small intestine is cut, but part of the duodenum is left attached to the stomach. Then the surgeon cuts the small intestine several feet up from the end where it meets the large intestine. The section that is still attached to the large intestine is connected to the duodenum. Next, the loose part of the small intestine is attached to the small intestine, which allows the digestive juices it creates to mix with the incoming food from the stomach in roughly the last 15-20% of the small intestine. After the surgery, most patient spend one or two days in the hospital before returning home. The risks of surgery include bleeding, infection, and blood clots. During or following surgery, the stomach or intestines may become perforated, causing their contents to leak into the surrounding tissues. This can cause infection and require surgery to repair the damage. Although the risk of death is rare (about 2 in 10,000 patients), it must be considered before the decision is made to undergo weight loss surgery. There are also risks caused by the rerouting of the digestive tract. Some patients may experience chronic diarrhea. Because the duodenal switch process reduces the body’s ability to absorb nutrients in the intestines, there is risk of nutritional deficiencies, which can be avoided through daily nutritional supplements, which must be continued for the rest of the patient’s lifetime. Most patients can expect about a month of recovery time following duodenal switch surgery. For the first two weeks, they are restricted to a liquid-only diet, followed by two weeks of soft and pureed foods, before transitioning to solid foods. This gives the stomach and digestive tract a chance to heal. During this time, expect some abdominal pain, which can be controlled with painkillers prescribed by your surgeon. DID YOU HAVE DUODENAL SWITCH SURGERY? After surgery, patients should eat smaller meals that are high in protein and low in fat. Depending on their adherence to lifestyle changes, patients can lose up to 70 percent of their excess weight within two years of surgery. Duodenal switch surgery costs average about $20,000. The price depends on the surgeon you choose, the hospital fees, and other factors. This cost may or may not be covered by health insurance. Your insurance policy may cover all or part of the procedure, or require different weight loss surgery techniques instead of the DS method. Before undergoing the duodenal switch, check with your insurance company so that you know which costs you will be responsible for. If you will be paying all or part of these expenses, ask your surgeon about payment options and financing plans.